I am back on the Left Coast after a trip to the East Coast. After rearranging my studio space it was time to put finishing touches on paintings for another show at the Blackhawk Gallery in Danville, CA. The show “Autumn Collections” runs Sept.20 – Dec.1. My work in this show includes three fall vineyard scenes and one Pacific sunset painting. 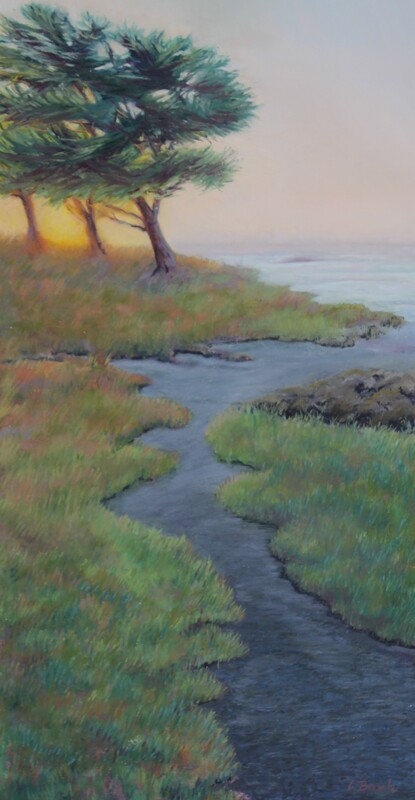 “Pacific Grove Sunset” is a studio piece inspired by a reference photo taken as I walked along the path when the sun slipped into the Pacific just north of Monterey. Both “Pacific Grove Sunset” and “Vineyard Symphony” were done with a loose watercolor underpainting. This technique seems to enhance the light that I am trying to show that isn’t always possible with straight pastel. 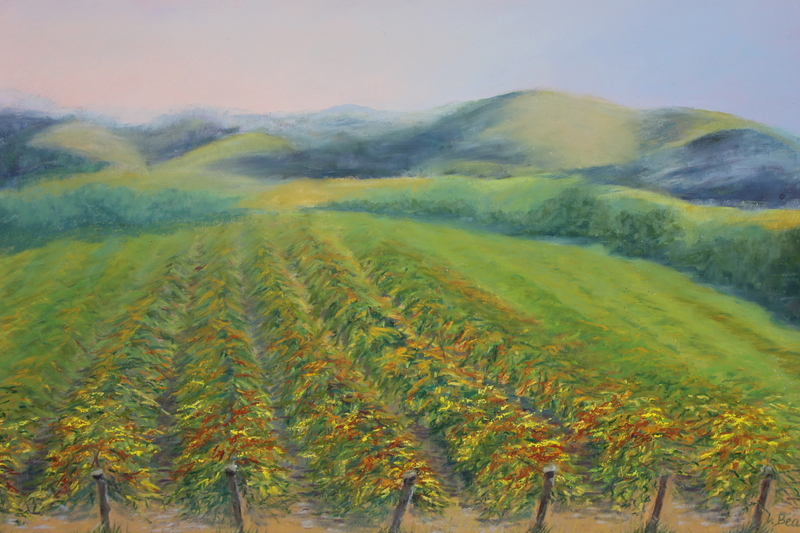 Two other vineyard scenes from the Livermore Valley are also in the exhibit which runs until December.